I got an 80's one past weekend free at a yard sale, slightly discolored. 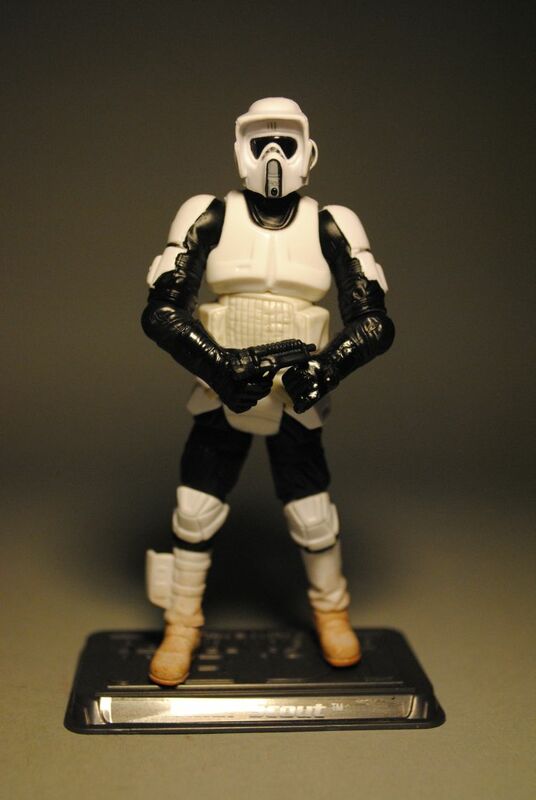 I like the modern vintage style figure, but got tired of the Vintage style's dirty shoes and weathered mid-section. The elbows never bend in enough, either. Looking at the movie stills, the pouches on the mid section should be bigger. Yet, I know Hasbro hasn't made them such, because they are visually the worst aspect of the costume. It's like the exposed black body suit areas on a stormtrooper. In the movies, they certainly have more visible "body glove" than the toys usually do, but it's not doing the characters any favors. I loved the Scout as a kid. It might have been my favorite Imperial as I like race cars, so it was cool that they had Speeder Bikes and flew as fast as they did. 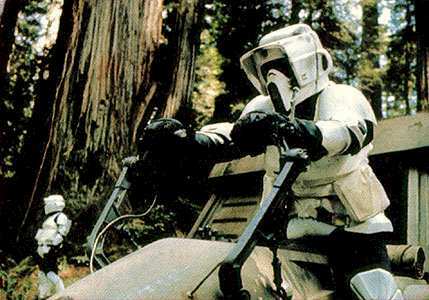 Speaking of the bikes, Hasbro needs a to-scale bike and a proper Biker Scout to ride it. But please leave the explosion action feature off it. This is another favorite of mine, both vintage and modern versions. If only the head/helmet was more to scale but otherwise very good figure. 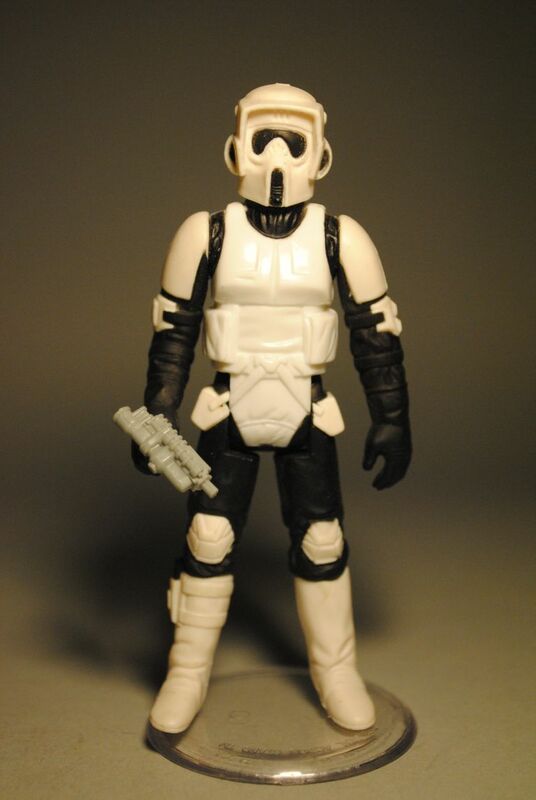 The biker scout was definitely one of my favorite Imperial figures. The first time I saw the character, was in a quick TV preview (the scene where Han is sneaking up behind him and steps on the stick). I got so excited because Star Wars was coming back to the movie theaters! 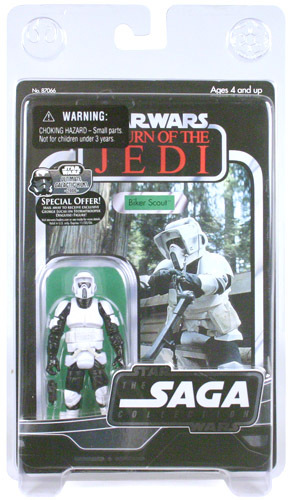 Although the VTSC version is great, I still have the POTJ version up in my Endor display. Still a decent (if slightly more static) figure. Love this figure, both Vinty and modern. Anyone ever notice that the original POTF2 ANH Luke's weird grappling gun was sculpted with this guy's pistol as the base? 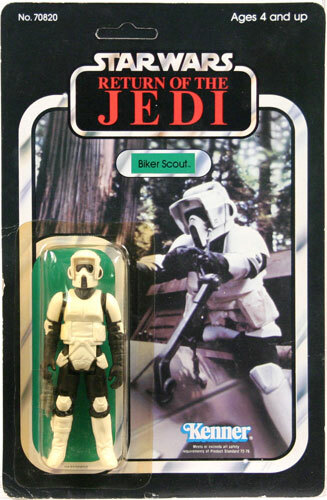 The Biker Scout was one of my favorite vintage figures and I'm eager to see any modern versions as they come out. 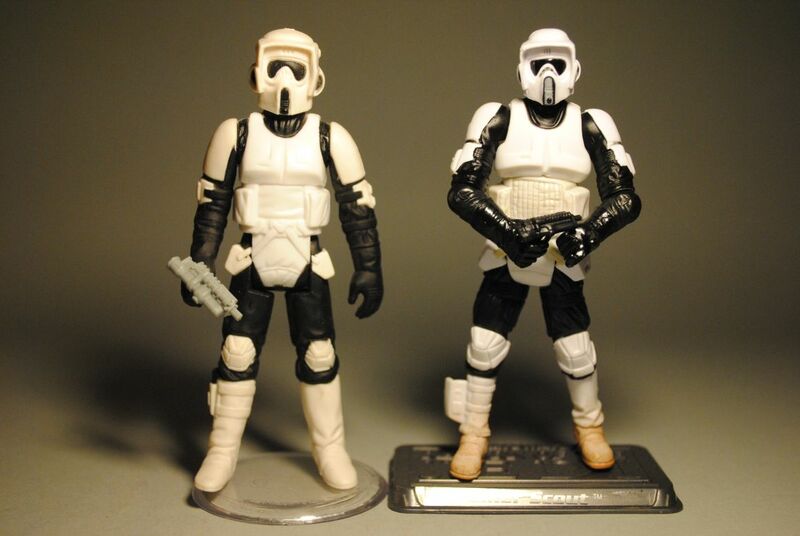 I even like when Hasbro goes back to the well to make a Stealth or Hoth version. The Revenge of the Sith spinoffs [think Kashyyyk Troopers] don't interest me much, though. They always look like poorly designed Biker Scouts to me. Very interesting to see the grappling gun in these terms! 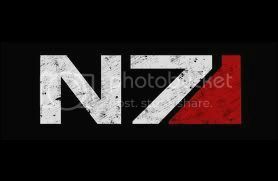 I never recognized this till now. Nice catch, Q-GJ. This was my first army builder as a kid. I had three of these dudes, but only ever had one Snowie and one Stormie. I even had 3 bikes too. and the pouches or armour highlighted their reliefs.